Kadapa is one of the districts in Andhra Pradesh and the district is part of Rayalseema region. 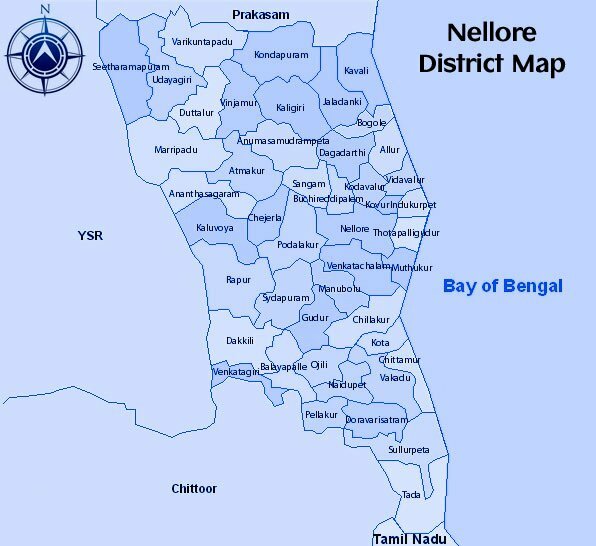 The district has further been subdivided into 51 mandals. The district is located towards the south central part of Andhra Pradesh and lies 8 kilometers to the south of the Penna River. Kadapa district was formed in the early nineteenth century (in the year 1808) during the British rule with Siddavatam as it’s head quareters, which was later shifted to Kadapa in 1812. Until 1808, Kadapa was a division under Anantapur Collectorate. In the year 1858 Kambam, Koyilakuntla and Doopadu Taluks were seded to Kurnool district and subsequently Madanapalli and Vayalpadu were transfered to Chittoor district on it’s formation. Kadapa district with it’s present Geographical area is in existence since 1911. Kadapa District has a glorious history and a rich cultural heritage. Kadapa had historical importance since BC era.It is identified as a part of Dandakaranya through which the Lord Rama and his consort Sita wandered during their exile. Once this district was called as Hiranya State. This place was under the rule of Pallavas, Telugu Cholas, Kakatiyas Vijayanagara kings and Nizam Nawabs. It was connected with Mouryans in BC era and Sathavahanas in the third century AD. It was part of the area ceded to the British by Nizam, thus it is one of the four ceded districts (Kadapa, Anantapuram, Kurnool and Chittoor), otherwise known as Rayalaseema, commemorating the name of Rayala, who ruled the area in 16th century. Gandikota fort located on the bank of Penna river was the citadel of Pemmasani Nayaks, commanders of Vijayanagar army and who won the battles of Raichur and Gulbarga for the Vijayanagar kings. The district in its long history acquired composite culture. The people are hard working and very hospitable.The population of the District consists of all important religious groups but the Hindus are in predominant number. In addition to Islam, the district came under the influence of Jainism and Buddhism also during different periods as Danavulapadu and Nandalur ancient sites suggest Hiuen Tsang, Chinese traveler who traveled through the district in 7th century AD recorded the existence of Sangharams (Buddhist monasteries) and Jain. Kadapa is one of the sprawling cities in Andhra Pradesh. It is now a contemporary city standing in contrast with the ancient and historical ones. The town is surrounded on three sides by the Nallamala and Palakonda hills. Cuddapah has a rich flow of rivers with five rivers flowing through it- Penna, Chitravathi, Kunderu, Papaghni, Sagileru and Cheyeru. Thus agriculture is one of the main sources of occupation for the people living in Cuddapah. Rice, jowar, cotton, turmeric, maize, chilies, sugar cane, sesame, melons and peanuts are grown in large quantities in this region. There is no authentic information available about the exact time of introduction of Islam into the district. But it is certain that Muslims habited the district as early as fourteenth century. Christianity was introduced into the district in the first half of eighteenth century by the Jesuit mission. Due to influence of different religions and beliefs, the people of the district acquired composite culture. 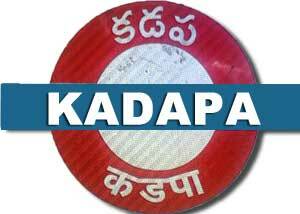 ‘Kadapa’ got its name thus from a Telugu word ‘Gadapa’, which means threshold. The city is so called because it is the gateway to the sacred pilgrimage centre, Tirumala (the abode of Lord Venkateshwara), for those travelling from north. There is an ancient temple of Lord Venkateshwara, called as Devunikadapa, in the city, from which the city got its name as ‘Kadapa’. The folklore say and believe that one has to visit this temple in the city before proceeding to visit Lord Venkateshwara temple at Tirumala. The city has many prominent places in and around that are worth visiting. The beautiful architecture of the temples and other monuments that still adorn the region stand as the evidence for the rich heritage and culture of the bygone days. A small village called Gandi situated in the valley-like place is famous for the temple of Lord Hanuman, is worth visiting. There is a fort in Gandikota standing for ages, a place not to be missed. A legendary village called Kandimallayapalli, famous for the Brahmamgari Matham, is a place of religious order and makes it a good place to visit.